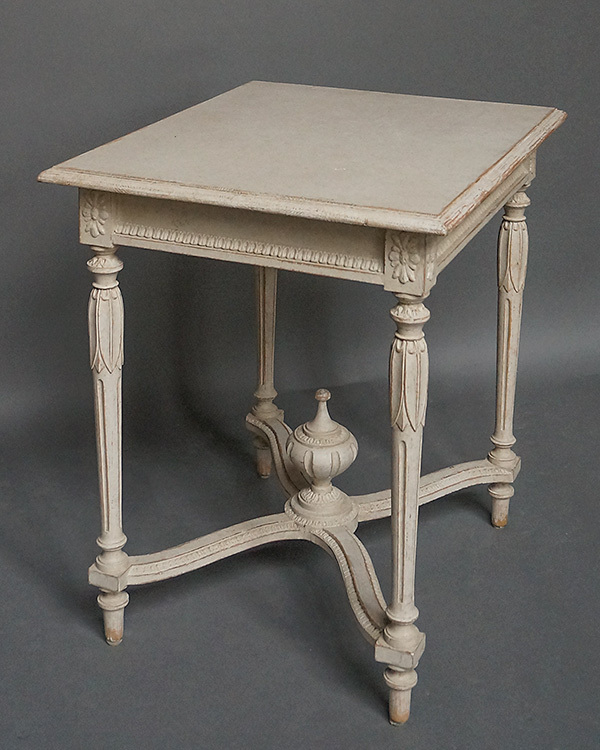 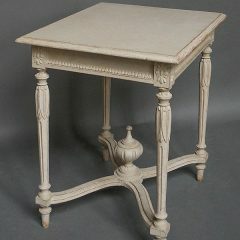 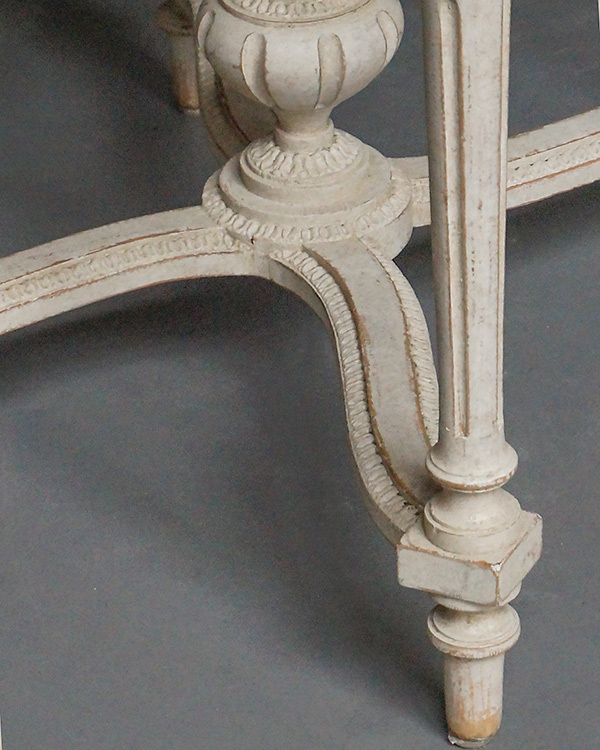 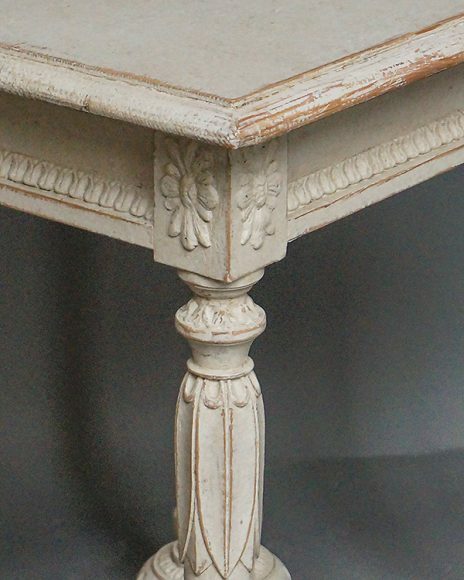 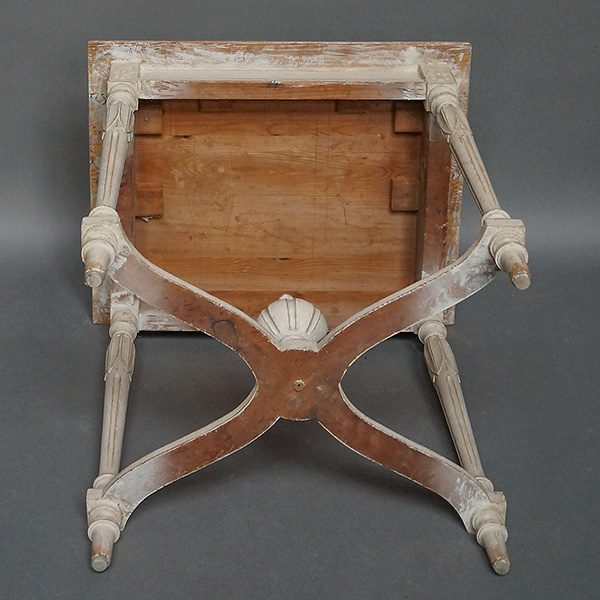 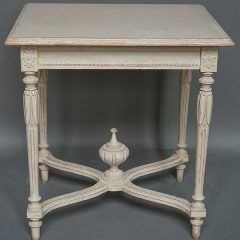 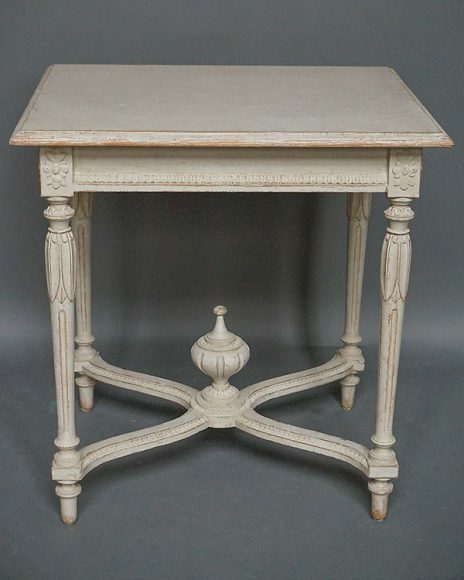 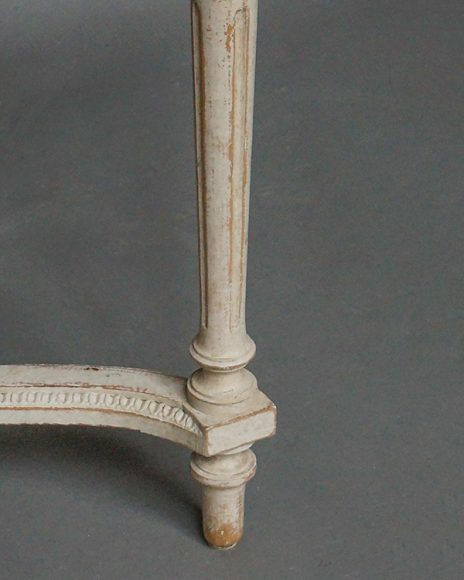 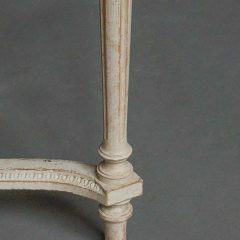 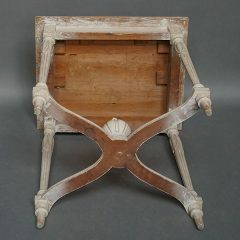 Swedish neoclassical style side table, circa 1900, with exceptional detail. Shaped top with lambs tongue detail on the apron. 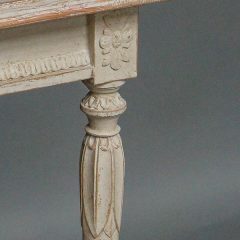 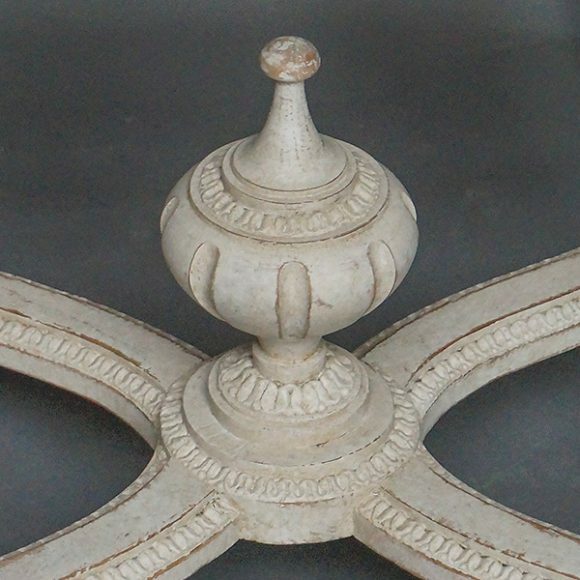 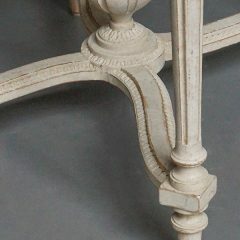 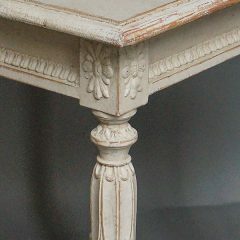 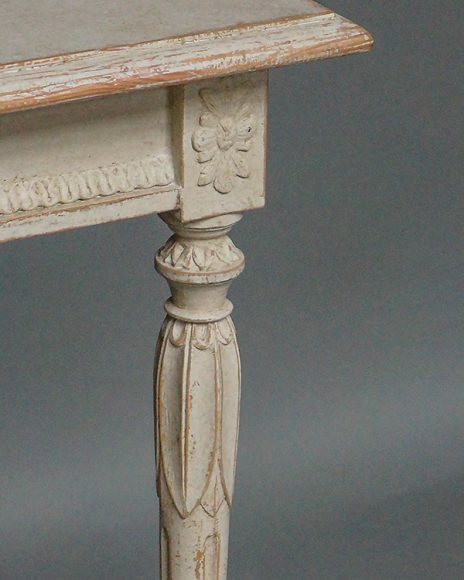 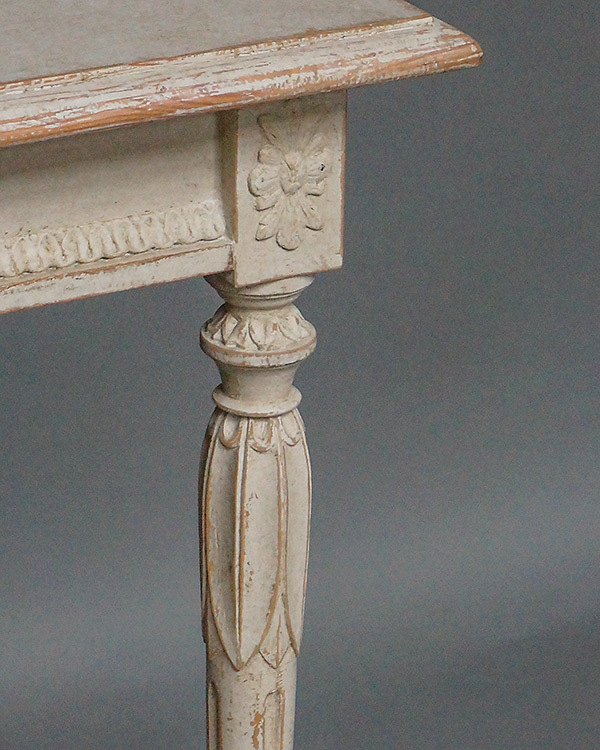 Applied floral detail on the corner blocks above turned and reeded legs with lotus leaves circling the top. At the center of the curved and crossing stretchers is a covered urn finial.